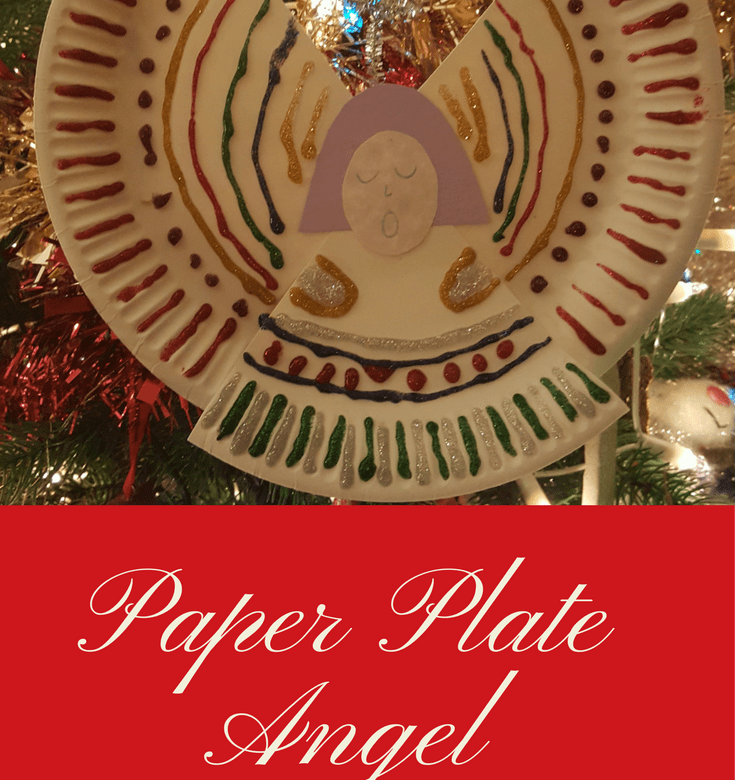 Cut a triangle piece out of the plate to make the angel’s body. Cut a circle for the face and a piece of hair out of the card. Draw the features on the face. Stick the face to the hair then stick the face and hair to the body. Stick the body onto the other piece of the plate which will be the wings. Make a halo using the silver pipe cleaner. Stick the halo to the back of the angel using sticky tape. Decorate the angel’s dress and wings with glitter glue and allow to dry. It’s our last #24XmasCrafts tutorial tomorrow and we’ll be making another scrabble Christmas tree ornament.